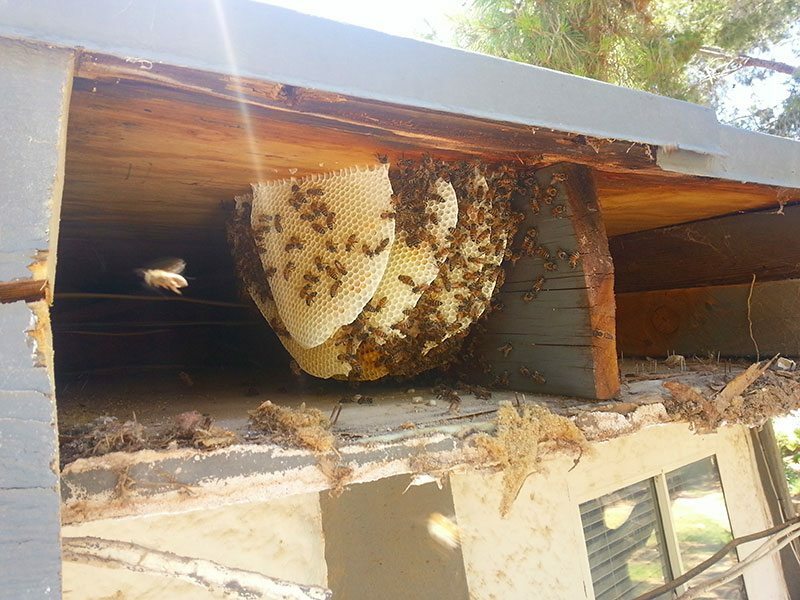 Our Live Bee Removal professionals are now serving the Clark County/Las Vegas metro area. 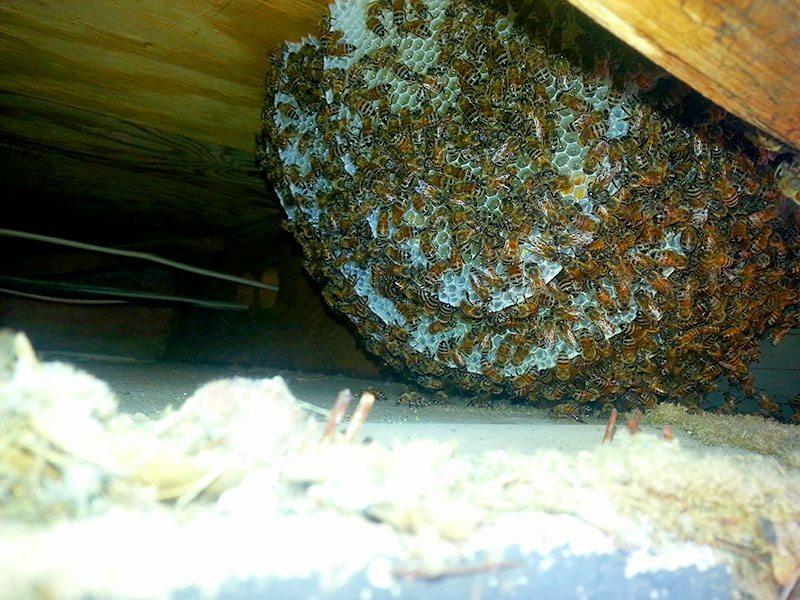 All of our bee removal technicians are highly skilled in performing live bee removal. Our vacuum system is state of the art. With it we are able to save upwards of 95 percent of the honey bees during a live bee removal. 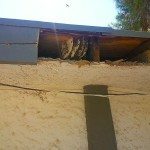 Often times it is necessary to cut into stucco, siding, or a roof to completely remove all of the honey comb that the bees have built. 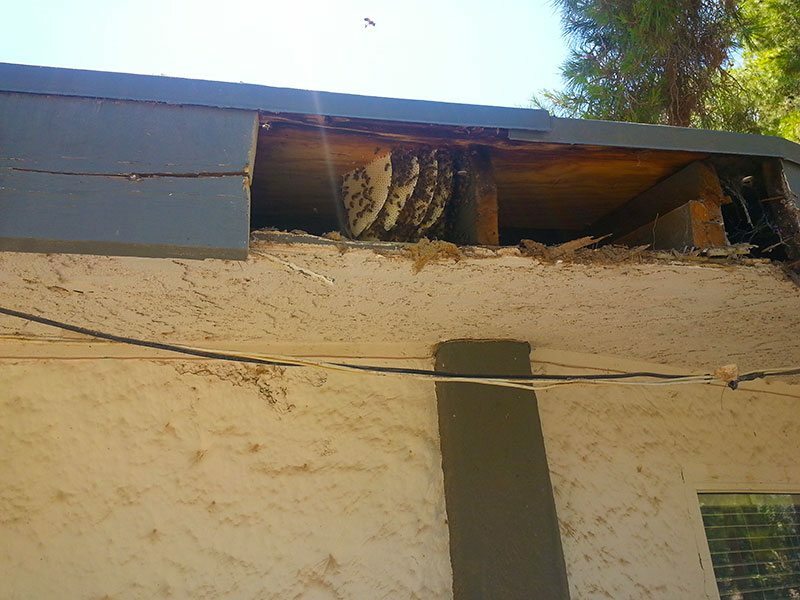 D-Tek Live Bee Removal Las Vegas includes with every written quote any repair work that may be needed to your house. We guarantee our repairs not to leak and we are fully insured. 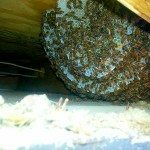 Many Las Vegas bee removal companies simply come in and exterminate the honey bees leaving the hive inside of the wall or attic. If bee hive is left inside of a structure the honey will melt and will stain drywall, stucco, and siding. The smell of the bee hive that has been left behind will also attract other honey bees in the area and increases the likelihood of another swarm of honey bees moving into your house and building another bee hive. 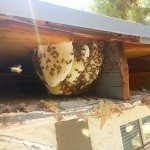 With Las Vegas honey bee die-offs occurring around the world due to disease and pesticide use now it’s more important than ever that every bee removal company should perform live bee removal. At the end of each day we collect all of the honey bees we have saved and donate them to a local bee keeper. We have bee keepers who meet us at the job site on occasion as well. With the Las Vegas heat it is important to drop them off to the bee keeper as quickly as possible so they don’t get dehydrated. If you need bee removal or bee control services in the Las Vegas area call D-Tek Live Bee Removal today! Fast same day service.